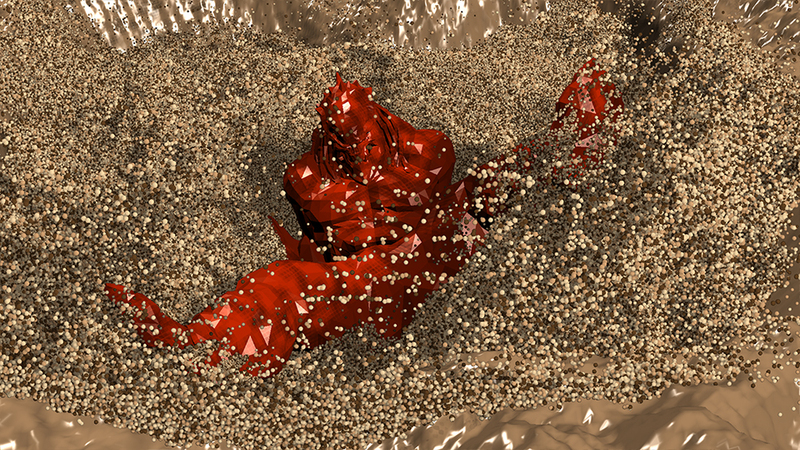 The approximate decomposition of the animated mesh into non-rigid convex parts for fast collision detection (physics, rendering). Animations were pre-processed (trained) in 30s – 4min. The approximation error can be chosen afterwards interactively (0-2s). Coarse approximation is suitable for real-time applications, finer for offline simulations or ray tracing. The method is robust to topologically incoherent meshes (degenerate triangles, open meshes, self-intersections, etc), which commonly happened in all these animations. Animations originally from https://www.mixamo.com/ and https://www.free3d.com. Houdini Plugin for Temporarily Coherent Approximate Convex Decomposition.